Only 1 at this price. 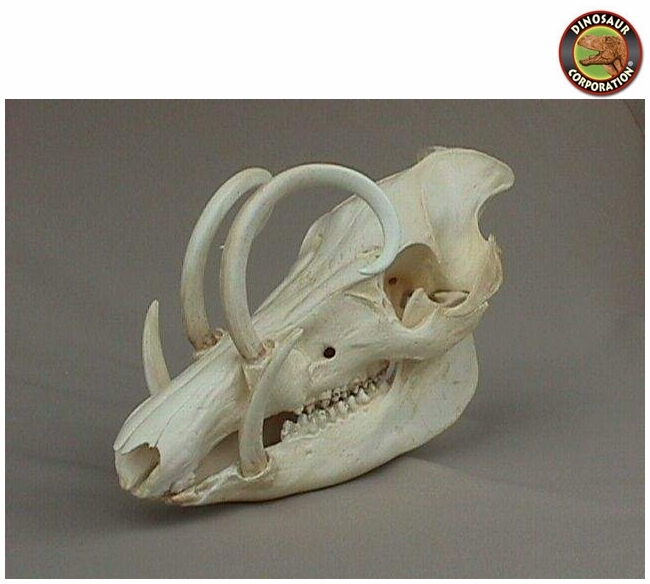 Babirusa Skull. Babyrousa babyrussa. Suidae of Sulawesi, nearby islands. ANS specimen Sciences. The babirusas, also called pig-deer (modern Indonesian: babirusa) are a genus, Babyrousa, in the pig family (Suidae) found in Wallacea, or specifically the Indonesian islands of Sulawesi, Togian, Sula and Buru.